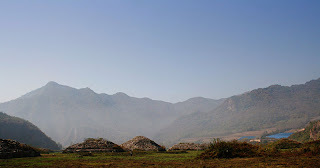 If you go to any ancient sites in Ji'an, then this is the one you should visit. 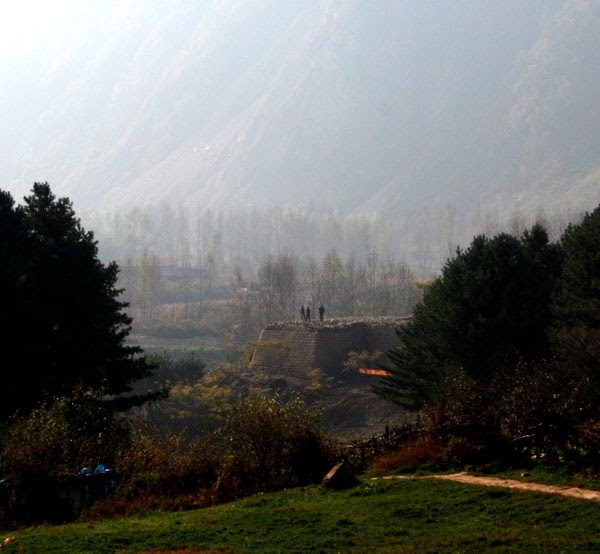 Situated at the end of a peaceful valley is the impressive sounding Wandushan Mountain City. Although the city itself has long gone, there is an extremely beautiful complex of ancient pyramids and incredible mountain views. You can either get a taxi from the city centre (maximum 15RMB) or you could rent a bicycle from the waterfront. It's about 3km along a valley so the ride's not strenuous at all. 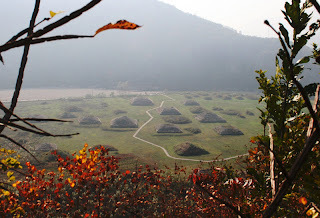 The pyramid or tomb complex is next to the entrance of the city itself. Surrounding the tombs is a metal fence with a couple of entrances. Walking around the pyramids is free of charge, and you definitely get a feeling for the scale and the beauty of the ancient city while appreciating its spectacular location. After paying a 30RMB entrance fee you enter the the site of the Ancient City. You enter between some reconstructed city walls. There aren't any other monuments except for an old watchtower on the left hand path. Opposite this on the other side of the valley is the site of the palace. There are signs and paths to both these places. Nothing remains of the ancient palace, but its worth a look because of the views of the valley. You'll find this easily because there are modern-built stairs right in the middle of a slightly overgrown field. What makes paying 30RMB worthwhile are the views of the tombs from above. Once you've visited the watchtower and site of the palace, head back towards the main entrance, towards the city walls. On your left There is a path that leads up the hill (along the ridge), go up it and and when you can make a right, walk to the edge of the ridge. Keep on walking up until you see the magnificent views of the tombs from above.